The Cavision 40cm Sound Package includes the SPS810M suspension system, the SWS1040 windshield, the SWJ1040 windcover and the HCS40-S extra strong hard case to carry it all. The SPS810M features metal support brackets and can be mounted onto boom poles for clearly picking up audio. Plus, with the included windshield and windcover, you'll be able to eliminate most of the unwanted ambient wind noise. 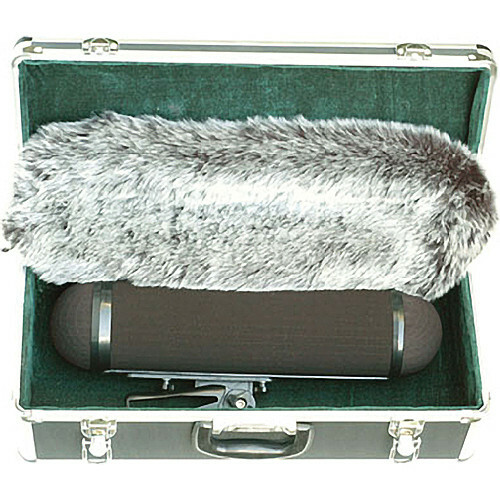 The durable hard case is designed to carry all three Cavision sound accessories. Box Dimensions (LxWxH) 19.9 x 9.5 x 8.4"